There are many reasons why Michael Ondaatje’s literary novel, The English Patient, dramatised in 1996 by award winning screen writer and director Anthony Minghella, is my favourite film. It’s just breath-taking on so many levels. 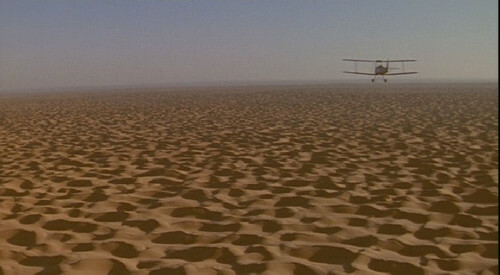 The geography of the film’s narrative is every bit as epic as the geography of its location: North Africa. The cinematography is mesmerising, as we see the opening scenes of the brush strokes on paper, and look down from the Tiger Moth over endless Sahara sand dunes, and then we hear that exotic music, by Gabriel Yared with the haunting voice of Márta Sebestyén. The sweeping shots of the desert and the contours of the dunes are reminiscent of the female form, which adds to the sensory aspects of the film. Also, I never knew what a suprasternal notch was beforehand! The characters are making maps of the desert, but they are also mapping each other’s souls. Although it’s brutal in many aspects, both visually and in the writing, with the patient’s horribly burnt body and its theme of war and betrayal, the film is also deeply sensual, portraying beauty as well as pain in the all-consuming love the characters feel as they are embroiled in the carnage. In fact, there’s more than one love story going on. There’s also the Canadian nurse (Hana), who cares for László in his last days, setting them up in the partly destroyed and deserted Italian villa San Girolamo. She gradually coaxes his poignant memories from him, which is how we learn of his love for Katharine. But Juliette Binoche, who plays Hana, has lost everyone she cared about earlier in the war and believes she is cursed. As she cares for the English patient whilst coming to terms with her own emotional scars, she falls in love with the courageous and dignified Indian bomb disposal expert, Kirpal Singh (Kip), played by Naveen Andrews. The scene where they meet for the first time is pure genius. Then there’s David Caravaggio (Willem Dafoe), the bitter and traumatised allied thief turned spy, looking for vengeance against the man who handed aerial maps to the German’s, leading to his subsequent capture and torture. Their coming together at the villa changes them all, irrevocably. The film is beautifully shot, mostly through the patient’s flashbacks, starting at the tragic end and then taking you to the beginning of their story, when Katharine and her husband Geoffrey arrive in the desert to join the group for their map making expedition. You can see from László’s expression as he watches Katharine when she stands before them reading Herodotus, telling the party of the Royal Geographical Society explorers the story of Candaules and Gyges; that it’s love at first sight. The tension and social differences between them leaps out from the screen. His following her in the market and the purchase of the thimble, the discovery of the cave of swimmers at Gilf Kebir, the first time they make love. Its intensity is visceral. As well as the passionate love affair at the centre of the story it’s also about forgiveness and the power of the human spirit under almost unbearable circumstances. All around them, as war is breaking out and lives are being destroyed, everyday human emotions are magnified and motivations heightened. It’s an emotional experience to see how the lives of the four central characters are changed by their interactions with each other, and the redemption that Hana feels from her kindness towards the English patient. Perhaps the most moving of all, is the closure and passing for the central character himself (loosely based on the real László Almásy), as we understand his torment and the reason for his seemingly reprehensible actions. I hope I have given you a flavour of the film, and if you haven’t seen it I don’t want to spoil every delicious nuance and lingering stare. Needless to say, I picked out some of my favourite scenes to whet your appetite! It’s a total triumph, and in my humble opinion Anthony Minghella’s best picture. It won 9 Academy Awards, including Best Picture, Best Director, Best Supporting Actress, and grossed over $200 million at the box office. The English Patient is an emotional rollercoaster that hooks you from the start and spits you out at the end, broken and sobbing (well, it did me anyway)… It’s best to have a stash of chocolates, a comfy sofa, and a box of tissues at the ready. I never get bored of watching The English Patient, and have seen it many times, now I really must read the actual book that it was based on! This film seems to become more beautiful the more times you watch it and the older you grow. There is something very strangely haunting about the film. It promises to offer a story of pure love but always holds back more than it gives. I would strongly urge you to read the book. I will try not to get needy, it really is the only film I have seen which is as strong as the book. There are varieties between the two, the powerful brooding presence of Kip is much more important than in the film; the two narratives, flash back and present, are more balanced. But the film haunts me in a way the book does not. It is the depth of dark colour, the pull of Fines’ eyes, the sparkling clarity of Hana as she negotiates the horror. Wonderful insights Kate, I will read it someday so that we can compare notes! Just saw the film again, while scrolling bits of the book. Very haunting. heartbreaking. captures the intoxication of true connection, the depth of loss…and the truth of kindness.